It’s been a full year of campaigning to end forest destruction for dirty palm oil. After Greenpeace International exposed how Wilmar was still buying palm oil from rainforest destroyers and selling this dirty palm oil to brands all over the world, you took action. 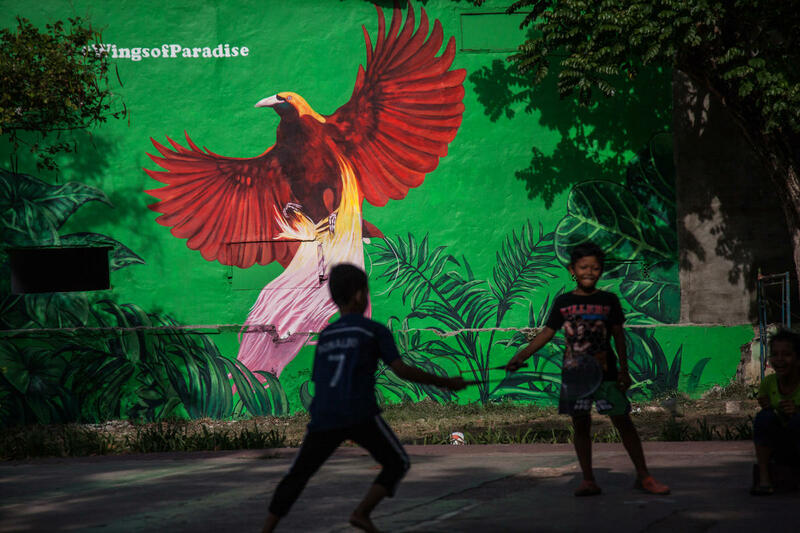 In the last few months alone, street artists painted murals in 20 cities around the world to draw attention to rainforest destruction for palm oil. 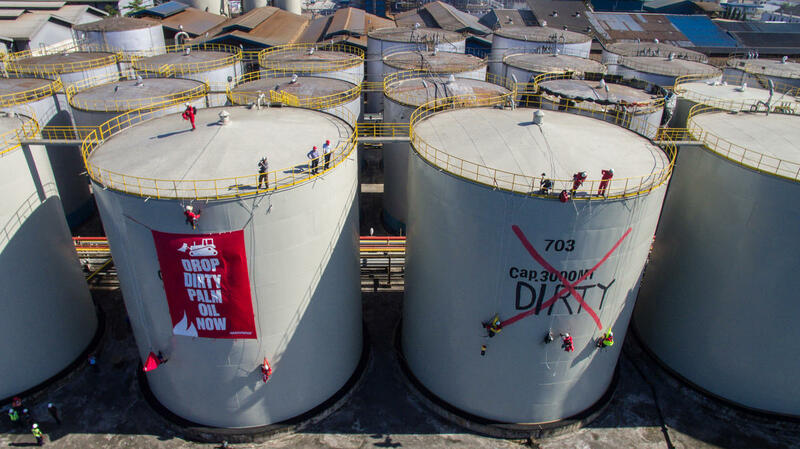 Activists occupied one of Wilmar’s palm oil refineries, and intercepted a tanker carrying Wilmar’s palm oil products into Europe – twice! Then Greenpeace activists and supporters confronted one of Wilmar’s biggest customers: the snack food giant Mondelez, the makers of Oreo cookies. 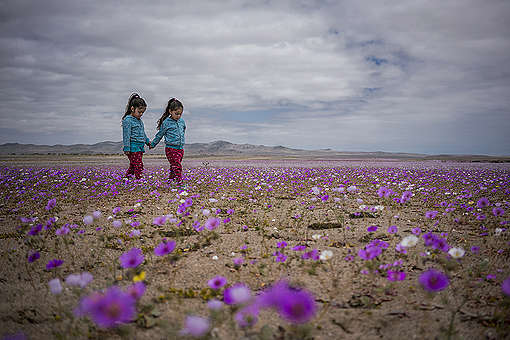 Together we called on them to live up to their ‘no deforestation’ claims. After exposing Mondelez’s links to dirty palm oil producers who were found destroying rainforests and orangutan habitat, hundreds of volunteers took to the streets demanding action. 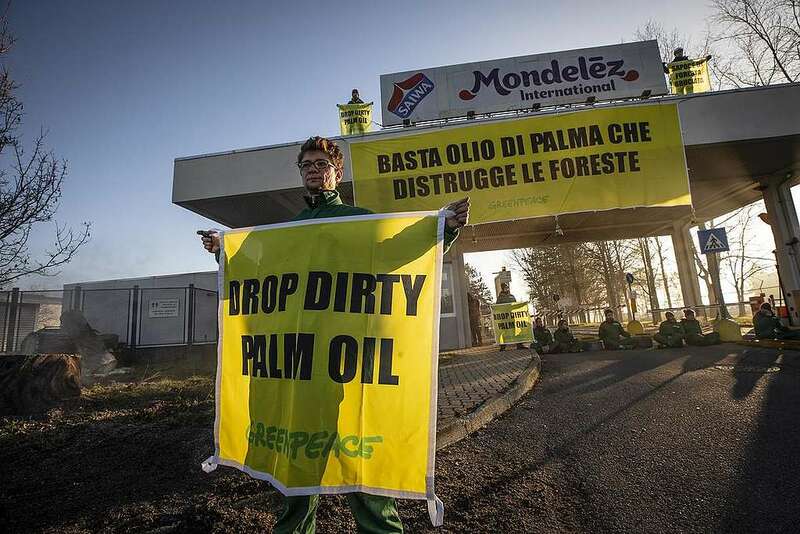 A Mondelez factory in Italy was blockaded by Greenpeace Italy, while scenes of forest destruction appeared at Mondelez HQs in Germany, the UK and the USA! We challenged Mondelez to cut Wilmar off for selling it dirty palm oil. And they heard us! Mondelez along with other brands told Wilmar it had to reform. 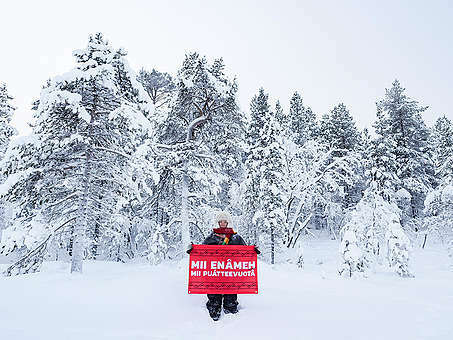 All this pressure, combined with the million-plus people demanding change meant they could no longer ignore us. Thanks to over 1.3 million of you who called on the biggest global brands to drop rainforest destroyers – we have been able to move the world’s largest palm oil trader, Wilmar to action. They have now published a groundbreaking plan to map and monitor its suppliers and, ultimately, stop buying from forest destroyers! 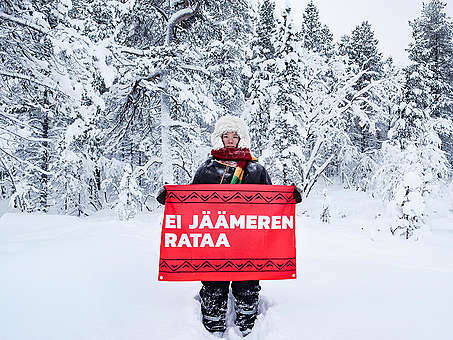 If Wilmar sticks to its word, forest destroyers will have nowhere to hide. This could change the entire industry; other traders will be under pressure to do the same. Brands and traders who promised to clean up their supply chains by 2020 have so far come up short. With less than 400 days to go, time is running out to meet commitments. Now Wilmar needs to put its promises into action and other palm oil companies need to do the same. If that happens, it would be the beginning of the end for deforestation for palm oil. This is not over by any means. 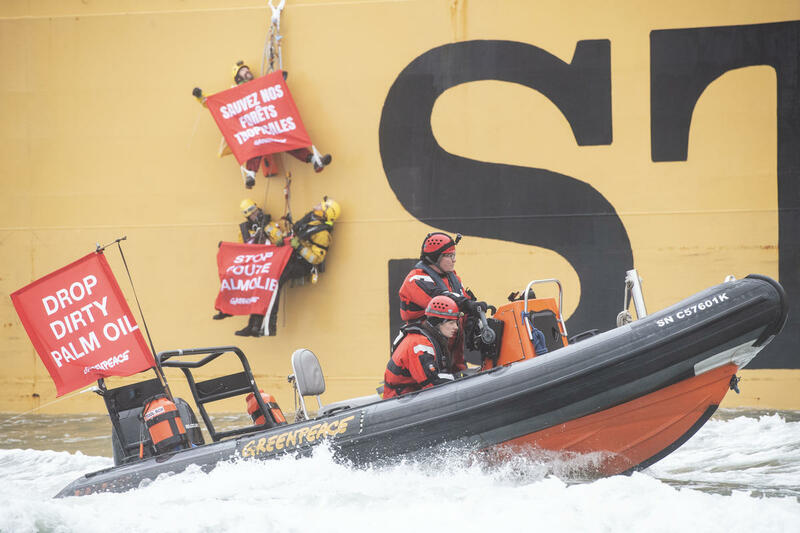 Greenpeace will be closely watching to make sure Wilmar delivers and consumer companies follow suit. Ultimately, brands and traders have to keep to their promise and protect forests by 2020. Today is a significant milestone but we’ll save the real celebrating until then. Keep up the good work and don't allow anymore tree cutting because the wildlife needs them to survive or they will die.